The Night Turns To Morning Light is a clever collection of pop meets indie rock songs, brilliantly fusing gritty realism with superbly soothing melodies. 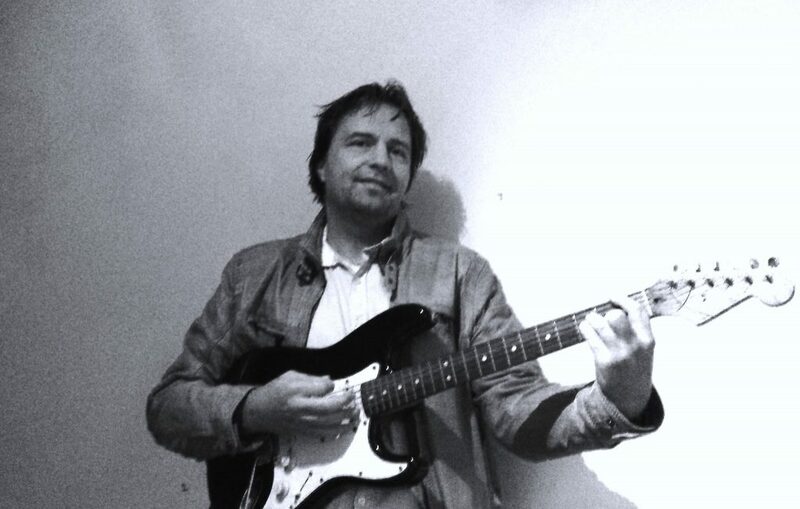 Martin Lucassen is a musician and song writer hailing from The Netherlands, and the music he puts out is a fantastic expression of honesty and rawness, beautifully backed up by a thoughtful and pretty flawless sea of music. Press play down at the bottom to listen as you read – we’ve highlighted the very best moments of the album to get you geared up and ready; this one is something undoubtedly new, something creatively clever, refreshingly professional, and pleasantly addictive.. The surreal and comforting warmth of an indie rock melody, Come To Me is a track that takes hold of you as you listen, but softly, not insistently. There’s an air of Oasis in the vocal and the guitar riffs, but there’s a significant flicker of creative folk music in the piano and the additional strings, plus that guitar twang, that country flair – so much going on in such a short time. All it does though, rather than filling up the space with arbitrary sounds, is soften those walls of music with a certain smoothness, making that melody and those lyrics shine all the more brightly. You feel so comforted by the opening track that you think you know what is to come from the album, but it’s just not the case – Love You From Scratch kicks in with a whole lot of everything that wasn’t quite present in the first song. It’s a strange way to put it, as there was categorically nothing missing from Come To Me, but this next track is so much else – the stylish guitar solo riff, the trip-up style beat, the harmonies, the instrumental break, the rhythm guitar.. This one hits hard, it gives you that classic rock and roll vibe that is so often left out of modern indie albums. Creatively as well, the structure in particular, this song builds up and breaks away at just the right moments, so although that hook, that chorus melody, plays over and over – it is actually used just enough times to get it caught in your mind, and the structure, those breaks, those changes, keep it from getting tiresome. It’s clever writing, and musically brilliant in terms of the imprint it leaves in your memory. Love Me Right Now has a similar rock and roll feeling to it, so the good vibes are continued and that desire for a cold beer and a dance by the beach is further emphasized. Plus, with this track, that sublime harmonica – God knows we love a harmonica solo, and this track teases you as you listen, with just enough of that flair, mixed with the distorted and fast fingered guitar solo sections – nothing over used or lasting too long, just enough to keep you interested. It’s a strong song, stand out melodies yet again, and if you only take one thing away from the album at this point, it is that Martin Lucassen is without doubt a fantastic and skillful song writer. As the project slides it’s way into the seductive and soulful tones of Break The Glass this point is all the more highlighted. The music takes a step back for this track, and the lyrics are framed in a melancholy and reflective ambience. The questioning nature of the lyrics is one that gets you thinking more deeply, about the song, the message, your own life, life in general. Break The Glass is a powerful image, and a striking metaphorical instruction when preceded by all those questions and ideas. The lyrics are brilliant, so unique and fresh and thoughtful. Heart On Fire showcases another set of powerfully clever and poetic lyrics. The expression is yet again unique and unheard of before, though by now it feels like there is a certain style of writing that you can significantly notice, and recognise, as a Martin Lucassen song. This particular track gave me a hint of Beatles influence, perhaps the harmonies and the melodies, the ‘she sets my heart on fire’ idea, that loyalty, that dedication and expression of love. It’s merely a hint though, and as mentioned before, you now know for certain that you are knee deep in Martin Lucassen music. The guitar solo as always does not disappoint, nor does it repeat itself, it is that instrumental break away from the lyrics and melody, in a new way, but in a familiar way – creatively well placed to keep you enthralled and entertained. Interestingly, after having mentioned The Beatles, the next track highlighted the particular tones and sound of Martin’s vocal more so than I had previously been aware of. There is a touch of John Lennon in there, but not so much so that it’s all I had heard – we are by this point half way into the album, almost, and everything is Martin Lucassen, and everything is new, but now familiar, and comforting to listen to. What You Mean To Me is a beautiful song, beautifully written and performed, some superb imagery within the lines, a really powerful scene is set and every ounce of emotion is successfully conveyed. The Night Turns to Morning Light is one of those albums that is exactly what you need to hear from the moment you turn it on. For me, Happy Travelers struck a joyful chord, the kind of song that quite simply makes you smile, and the more you listen, the more you realise how flawlessly constructed the whole thing is. Every riff, every beat, every note, every lyric, even the production – the whole collection of sounds and effects is perfectly placed within the comfortable walls of the song. On the whole, it’s an album that has been carefully thought out, nothing thrown in there for the pure sake of it, no filler, no wasted moments. You can listen intently, listen to the stories, or you can turn it on and let the music fill up the room and the space around you for the next hour or so. Check it out for yourself – this is Beauty All Around, the final track of the album but by no means the least important; perhaps even one of the brightest moments, in my opinion, though there are many, many others to soak up. Click through to Soundcloud to listen to the release in full. 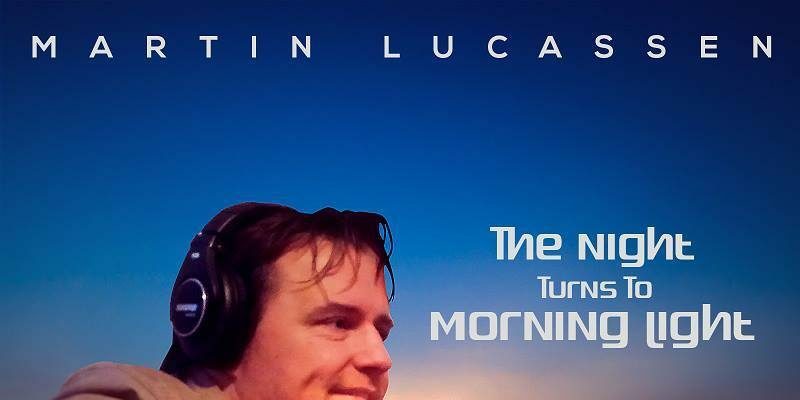 As mentioned, you can listen to The Night Turns to Morning Light over on Soundcloud, find out much more about Martin Lucassen over on his Website, and follow him on Facebook and Twitter to watch out for new releases and live shows in Europe and beyond. Get involved.